What is the YPSI Tool? 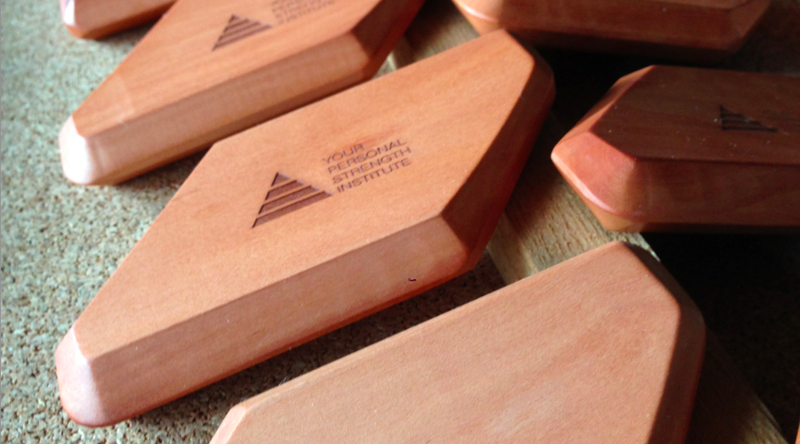 The YPSI Tool is a handmade creditcard-size tool made from local pear-wood which is treated with local flaxseed oil three times to ensure longevity and optimal grip when using the Tool to optimize Mobility and Flexibility using different Massage Techniques to release Fascia. – The YPSI Tool is made from wood which is naturally anti-microbial. Saves you quite some time disinfecting the tool all the time. – With its size and shape its easy to grab and use. Especially when you use it longer and more frequently its easy on grip, forearm and shoulders..
– The YPSI Tool has 6 different Edges and 6 different Corners. They allow sniper-like precision and a broad spectrum of areas to use the Tools – from Rectus Femoris to Extensor Carpi Ulnaris Brevis. – The natural texture of pear-wood which the YPSI Tool is made of allows multiple techniques. From the Release of the Fascia via Friction to using more pressure to increase Circulation of the Softtissue. No other Tool offers such a broad spectrum in techniques and applications. – The size of the YPSI Tool makes it perfect for your pocket, so its always ready for use during a training session. On yourself or your Clients and Athletes. – The YPSI Tool is a very user-friendly Investment. Limited to 16 students for an optimal learning environment and personal attention.